Often times, when it comes to wall art, I feel so overwhelmed – it’s true! There’s so much online from Pinterest to Instagram to Houzz, it’s just a lot to absorb. Quite frankly it’s hard to decide on just the right piece to fit my style. I figured, man, if I’m feeling this way, I’m sure others do too! 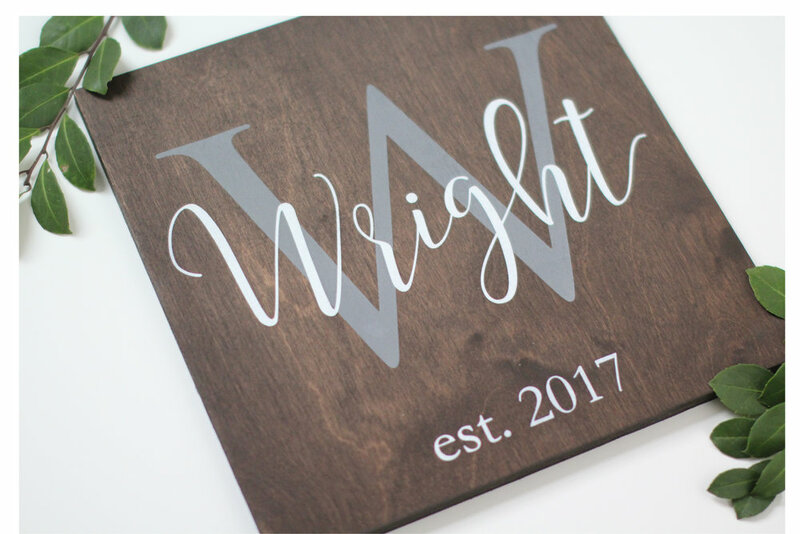 So I decided to dig into the most popular home signs we sell on our site to see what others are consistently buying…Hundreds of happy customers can’t be wrong, check them out below. Out of all the home signs we sell, this by far is our top seller! I mean, it’s so popular we’re giving it away if you sign up for our newsletter. 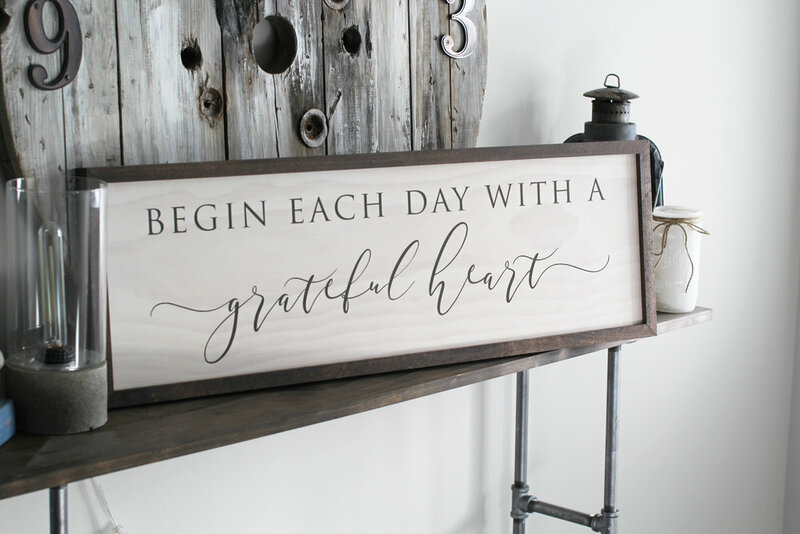 Not only does this sign have an uplifting message, it’s designed in a way that seamlessly ties into the modern farmhouse look that’s all the rage right now. Shop the look here. Next up to the plate is my all-time favorite home sign we sell. It’s pretty much my life mantra as I like nothing better than to stay home on a Friday night, cuddled up with my hubs and dogs watching tv. If this describes your life to a t…here’s your sign. you’re looking for a multi-purpose sign, this is the one for you! Fun fact – we originally designed it to be an anniversary gift for a client, however I personally think it would be a wonderful addition to your baby’s nursery as well! Check it out here. Framed farmhouse signs not your thing? No problem! Sometimes simple signs with stained backgrounds give you that rustic modern feel you’re going for. Pro tip: these also make fantastic housewarming, anniversary and birthday gifts! Finally – the quote sign. These types of signs are always some of my favorites, simply because they make me daydream about the people most important in my life. For instance, I designed out this Walt Whitman quote with my husband in mind. Whenever I look at it, I’m always reminded of our happy adventures no matter what they are. So there you have it friends, our top five best-selling signs! You can shop them all here. Not quite your style? I (or anyone on my team) would love to help you out with a new original design that appeals to you. Just head over to our custom request tab to send us an email.